Paul Humphries Carpentry Services are based in the Slough area. Professional, friendly and reliable, we provide high quality carpentry services covering all aspects including kitchens, windows, doors, skirtings, decking, staircases and flooring. Providing great service whether it be a new build, re-furbish or simply adding something new into your home or business. Experienced, qualified, highly skilled and fully insured we undertake all aspects of carpentry work including high quality kitchens, staircases, flooring and decking, windows, flat packs and door hanging. All our work is quality assured and our customer service is second to none. We can come to you to trim the bottoms of your doors after a new carpet has been fitted, or fit a lock to a door. We can put together a shed in your garden, or fit a timber deck with steps and a handrail. If it's made of timber we can fit it or make it, no job too big, no job too small. 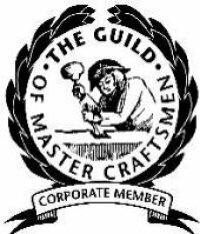 As a member of 'The Guild of Master Craftsmen' our services come highly recommended. Paul Humphries Carpentry Services have developed a fantastic reputation in Slough, Windsor and the surrounding areas. We are trusted for our excellent service, our affordable prices and the high standards of our skills, knowledge and workmanship. We have had many personal recommendations from satisfied customers. Our highly professional carpentry services cannot be matched in the Slough area and our prices are very competitive. Contact us today for further information and bookings.